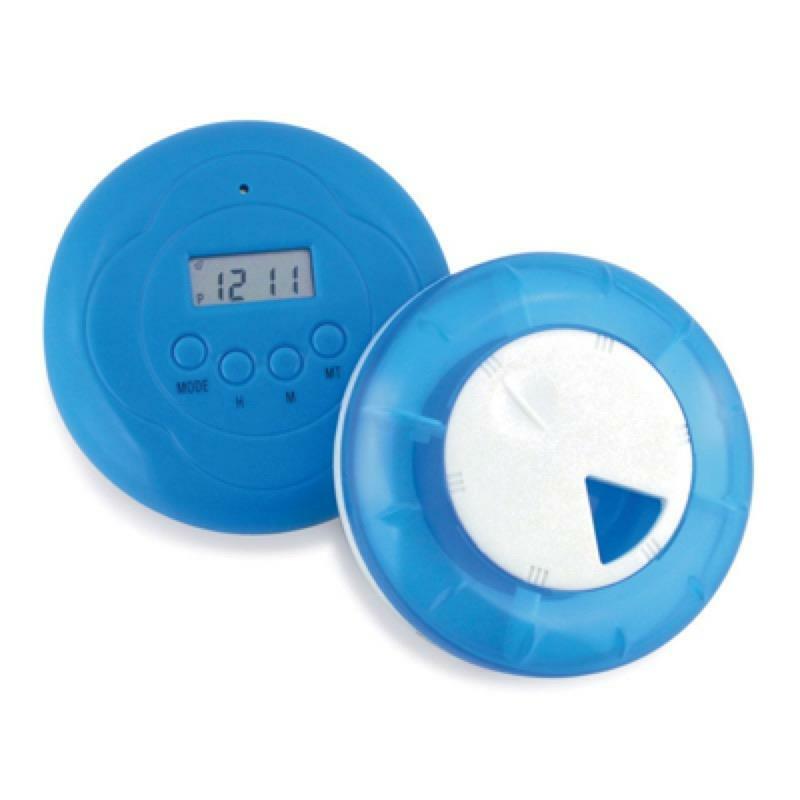 The Vibrating Pill Box features five pill compartments and an audible alarm which you can activate up to five times a day. The Vibrating Pill Box features five pill compartments and an audible alarm which you can activate up to five times a day. It has a large display and a back light.